The normally well-informed analyst Evan Blass has published leaked images of the upcoming Samsung Galaxy Tab S4 tablet. It shows a redesigned S-pen. The Galaxy Tab S series is Samsung’s pen-based tablet series. It sells well in New Zealand and competes mainly with Tab-A series and Microsoft Surface tablets. There are no major visual changes on Samsung Galaxy Tab S4 compared to Tab S3 based on the images. However, the Stylus S pen has been redesigned. It lacks a clip and possesses a more polished and shining finish compared to previous Stylus Pens. Samsung has certified a new tablet with the model number SM-T835 at Wifi Alliance. Hence, it’s likely that Tab S4 receives this model number. The Tab S-series sports high-resolution OLED screens and S4 is no different with a resolution of 2,560 x 1,600 px. The screen measures 10.5-inch. Furthermore, the Snapdragon 835 processor combined with 4 GB RAM memory brings plenty of computing power. We expect Samsung to launch Tab S4 in September. There’s a chance though that it might be part of Samsung’s Unpacked event in New York on August 9th when Galaxy Note 9 launches. 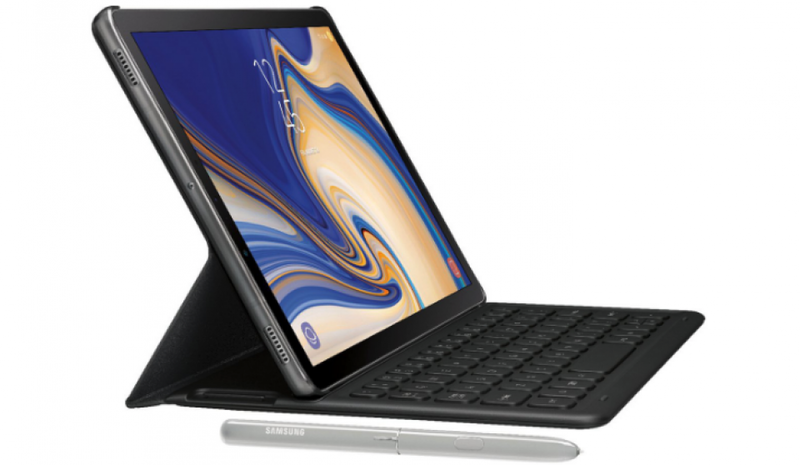 The question is whether Samsung will allow Tab S4 to play second fiddle to Note 9? What about the price? The predecessor Tab S3 might give an indication of the price. It initially cost about $1,050 when it launched, but now retails as low as $820.